There are now four STREAM Stage 2 sites in South Africa across three provinces. Each serves a very different community, but what unites them all is their commitment to finding better ways to treat MDR-TB through clinical research. Leading the community engagement efforts for STREAM, community advisory boards (CABs) at the STREAM Stage 2 sites are encouraged to share experiences and join efforts with each other and their study teams. On 24 February 2018, the Community Liaisons Officers (CLOs) from all four Stage 2 sites met in Durban, Kwa Zulu Natal along with the members of the King Dinuzulu and Doris Goodwin Community Advisory Boards. On the hot Saturday morning, the turnout was impressive, with over 60 people in attendance. The Good Participatory Practice Guidelines for TB Drug Trials were presented by the Johannesburg CLO and participants discussed how to measure the impact of community engagement. The Principal Investigator from King DinuZulu Hospital in Durban presented preliminary results from Stage 1 of the STREAM trial, and participants then turned to how they can best work with local Departments of Health to ensure the results are translated to improved programs and policies. 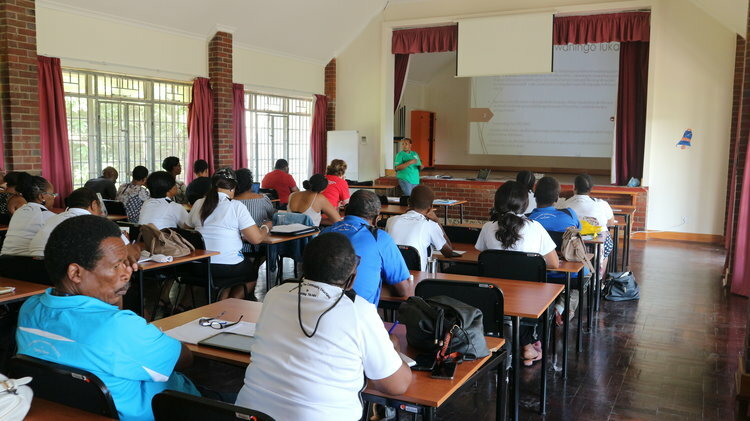 Participants were also encouraged to attend local AIDS Council meetings to share the Stage 1 results. A similar joint CAB meeting will be planned for next year to share ideas, reinforce commitment to community engagement and build sustainability of the South African CABs.